In shogi board, each pawn has to accept its path and move forward without any other choice. And each of them consists of different experience when they are moving on their own path. 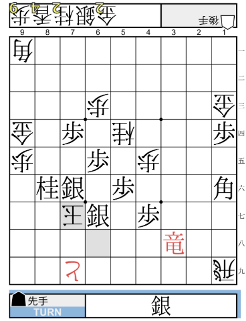 If you play shogi before, we know that there will never be 2 pawn at the same column due to the rule. This is a particular rule which different from International Chess and Chinese Chess (xiangqi). Even a capture pawn from the opponent (Dropping) also cannot put it on the same column with the other pawn. In simple word, each column just can consist of 1 pawn without counting the promoted pawn “tokin”, a pawn that successful reach enemy camp and get promoted according to the player wish. In shogi board, each pawn has to accept its path and move forward without any other choice. And each of them consists of different experience when they are moving on their own path. If you play shogi before, we know that there will never be 2 pawn at the same column due to the rule. This is a particular rule which different from International Chess and Chinese Chess (xiangqi). Even a capture pawn from the opponent (Dropping) also cannot put it on the same column with the other pawn. In simple word, each column just can consist of 1 pawn without counting the promoted pawn “tokin”, a pawn that successful reach enemy camp and get promoted according to the player wish. 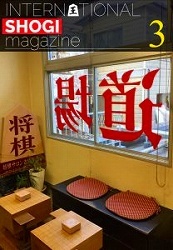 The annual competition is a main highlight of shogi for the Asia region and this year’s was no different. A total of thirteen teams from six countries gathered to battle for supremacy. The Asia Shogi Tournament allows country and interest group representatives to concurrently compete. This meant that the tournament ran two competitions in tandem. Professional shogi players Mr Kenji Kobayashi, Mr Shohei Takada and Ms Madoka Kitao were also present to oversee and perform teaching sessions. The annual competition is a main highlight of shogi for the Asia region and this year’s was no different. A total of thirteen teams from six countries gathered to battle for supremacy. The Asia Shogi Tournament allows country and interest group representatives to concurrently compete. This meant that the tournament ran two competitions in tandem. Professional shogi players Mr Kenji Kobayashi, Mr Shohei Takada and Ms Madoka Kitao were also present to oversee and perform teaching sessions. As the wise saying goes, an army cannot fight on an empty belly. Neither can shogi players. What more could one ask for in an eventful morning of shogi battles? Free lunch of course! DONGURI family restaurant kindly sponsored bento lunches for all participants. And what goes into these bentos, you ask? A healthy portion of fish, tofu, sashimi, tempura, rice, pickles and vegetables. As the wise saying goes, an army cannot fight on an empty belly. Neither can shogi players. What more could one ask for in an eventful morning of shogi battles? Free lunch of course! DONGURI family restaurant kindly sponsored bento lunches for all participants. And what goes into these bentos, you ask? A healthy portion of fish, tofu, sashimi, tempura, rice, pickles and vegetables. But Fig. 10 gives a crucial clue from ▲S*66 △Kx86, had the Silver been at 86 as a sacrifice piece, the mate structure would still hold. To get there, Black can play a really cool sequence of ▲S*88, △Kx86, ▲S-87(88), △K-77, ▲S-86, △Kx86, ▲+R-88, △K-96, ▲+R-87 for 111 moves with no pieces held in hand! But Fig. 10 gives a crucial clue from ▲S*66 △Kx86, had the Silver been at 86 as a sacrifice piece, the mate structure would still hold. To get there, Black can play a really cool sequence of ▲S*88, △Kx86, ▲S-87(88), △K-77, ▲S-86, △Kx86, ▲+R-88, △K-96, ▲+R-87 for 111 moves with no pieces held in hand!